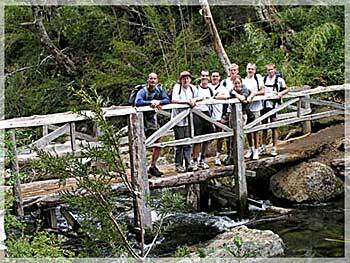 Villarrica and its surroundings invite to stay for activities, culture and relax. 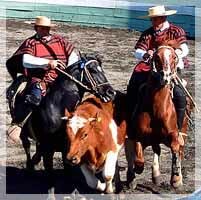 Among the wide range of events in summer are classic music weeks, Indian mapuche dancing presentations, Chilean rodeo, sporting events, 4 wheel raids, open air concerts and more. 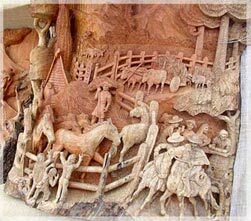 The local artisans convert native woods in furniture and plastic art often taken home from travelers as a souvenir. 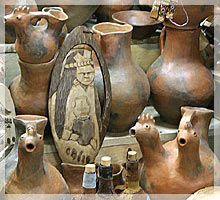 Shops and cafes invite to stroll around, between days of hiking and exploring near National Parks. 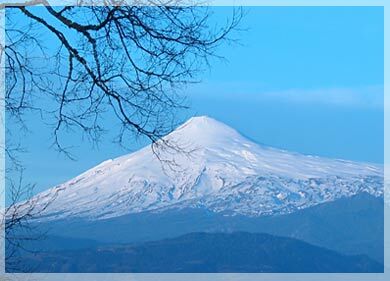 Situated 85 kilometers away from Temuco, the capital of the region, Villarrica has always distinguished itself for being an operational center between Pucón and Lican-Ray, and its innumerable services and infrastructure. 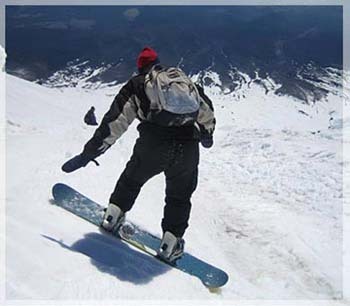 This fact distinguishes it from the other two resorts where some of the services only function during the summer where as in Villarrica they do it throughout the year. 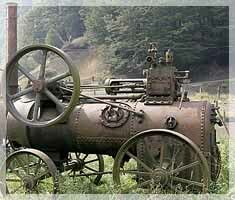 This city has a very particular character and one quite heterogeneous also. 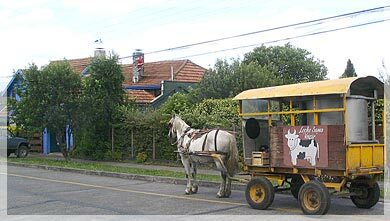 Unquestionably the Mapuche race is latent in its people and culture. The presence of the German community, product of the immigration after the pacification of La Araucanía, the Arab community present in its commerce and the Native, a mixture of these three, has resulted in a very loving and gentle sort of people in their relations with visitors, concerned about the growth of their town and respectful of their roots. 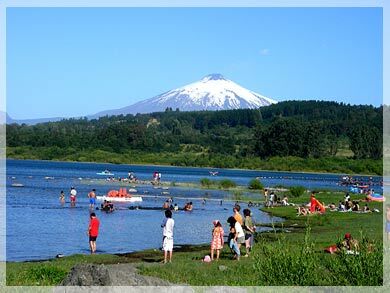 The city dominated by the volcano and washed by the waters of the lake attracts the tourists as well through the organization of sports and cultural events of great prestige on an international and national level. 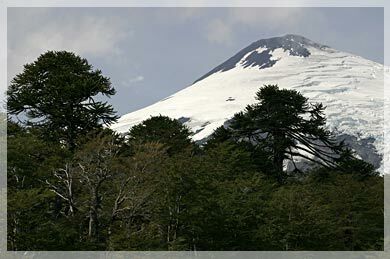 It is the westernmost of three large stratovolcanoes that trend perpendicular to the Andean chain. A 6-km wide caldera formed during the late Pleistocene. A 2-km-wide caldera that formed about 3500 years ago is located at the base of the presently active, dominantly basaltic to basaltic-andesitic cone at the NW margin of the Pleistocene caldera. 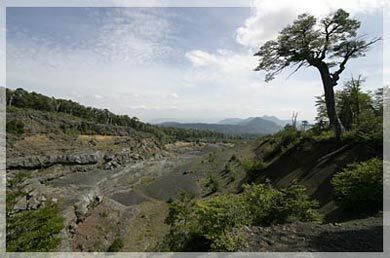 More than 30 scoria cones and fissure vents dot Villarrica's flanks. Plinian eruptions and pyroclastic flows that have extended up to 20 km from the volcano have been produced during the Holocene. 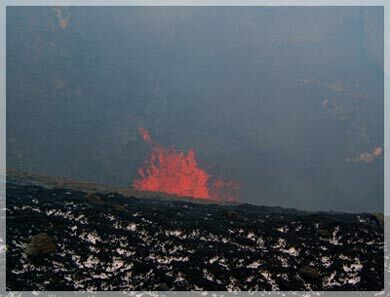 Lava flows up to 18 km long have issued from summit and flank vents. Historical eruptions, documented since 1558, have consisted largely of mild-to-moderate explosive activity with occasional lava effusion. 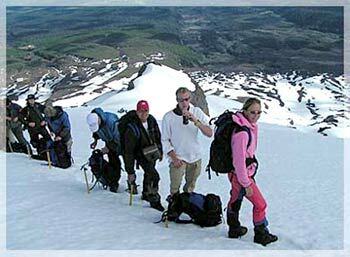 Glaciers cover 40 sq km of the volcano, and lahars have damaged towns on its flanks. 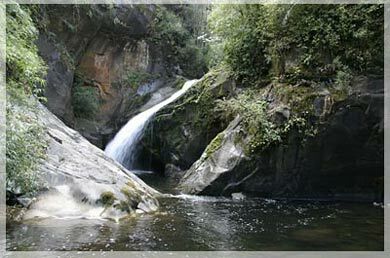 Conguillo National Park is one of the most beautiful parks of Chile . 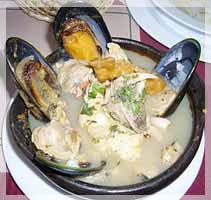 'Conguillio' in the Araucanian language, means water with feathers. 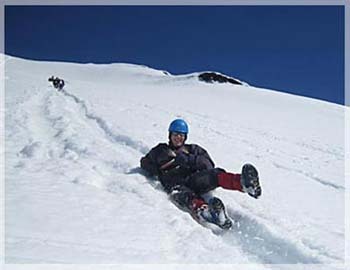 Among its greatest attractions is the Llaima Volcano at an altitude of 3,125 meters (10,250 ft), lakes and lagoons of volcanic origin, and the ancient forests, many of which are unexplored. 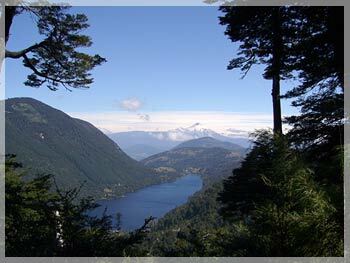 This park is also known as the umbrellas, due to its ancient araucaria forests. The park is crowded in summer. Good season is before January and after February.